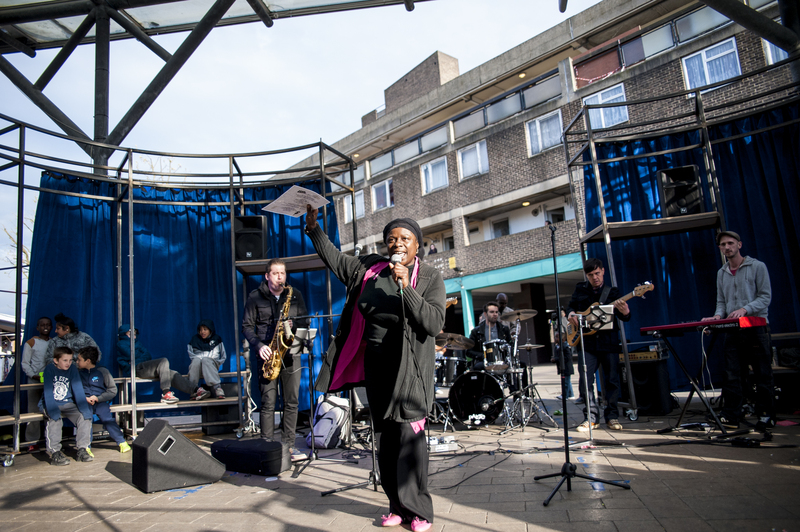 Chrisp Street on Air was a research project based on a series of actions we undertook in Chrisp Street Market to emphasise the market’s relevance as a public and civic space at the heart of community life. 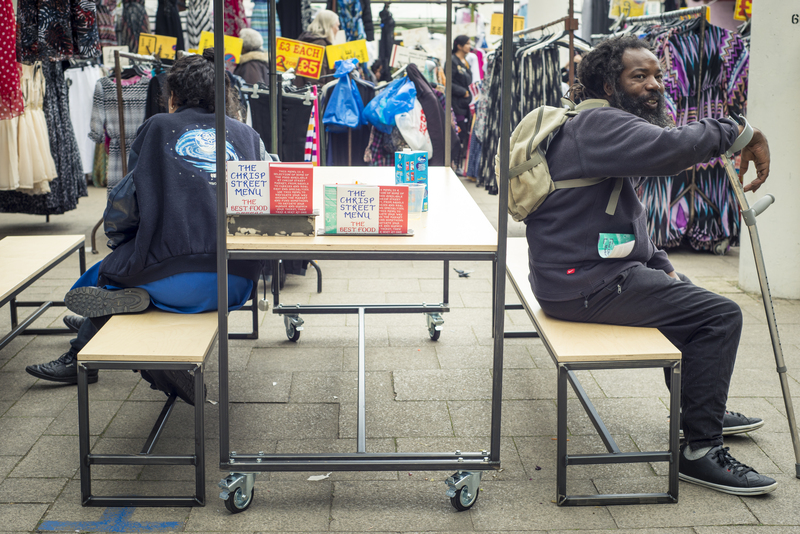 First, in order to capture the many voices of Chrisp Street, we set up a radio station in an empty unit at the market. The broadcasts were an attempt to understand the mechanics of the market and the surrounding area and pose questions about its future. The podcasts are available for listening on the Chrisp Street On Air website and also on iTunes. 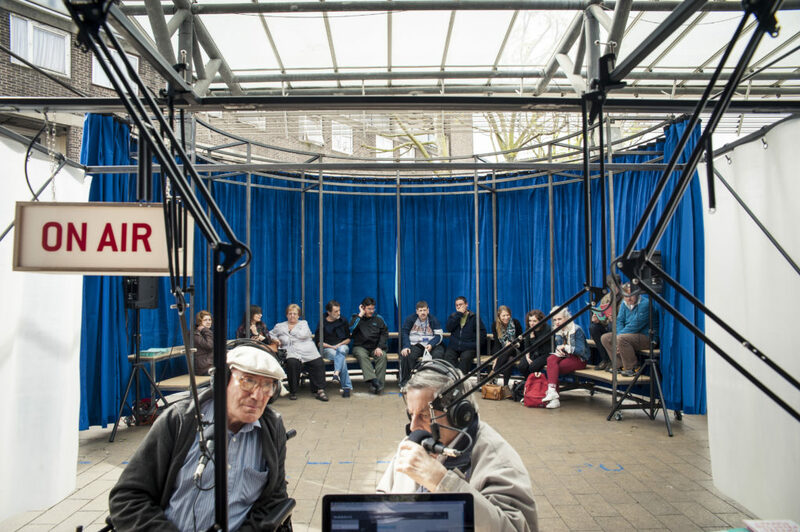 The radio series was used as research to inform a programme of events and activities that took place in the market square. 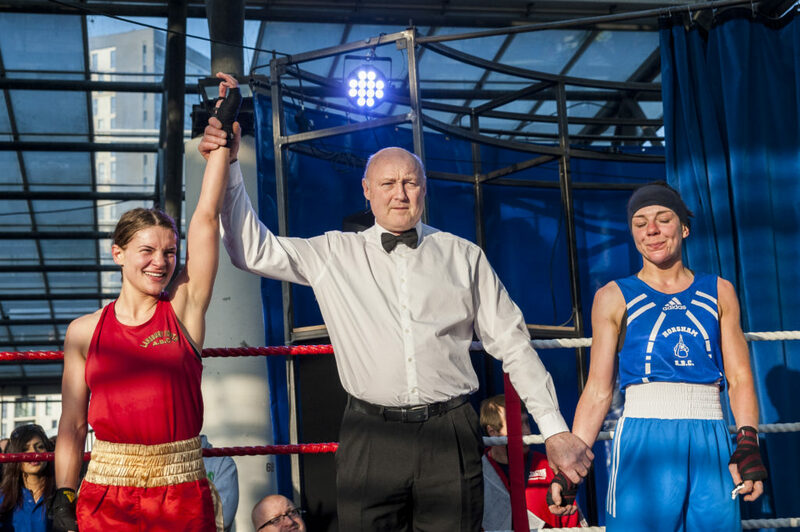 The events drew from the particular history of the area and were developed in collaboration with key local cultural partners such as The Lansbury Amateur Boxing Club, Poplar Film, Bow Arts, Spotlight and others. 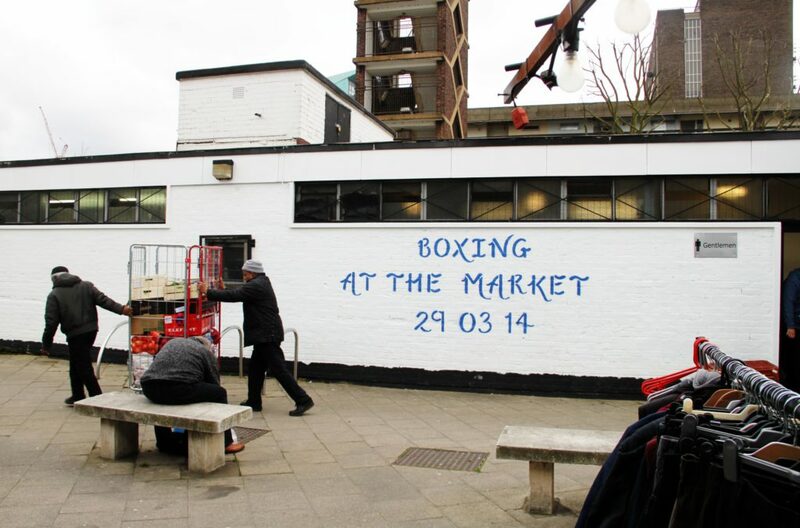 New market stalls were built to host the programme of events, which included boxing, music and cinema. 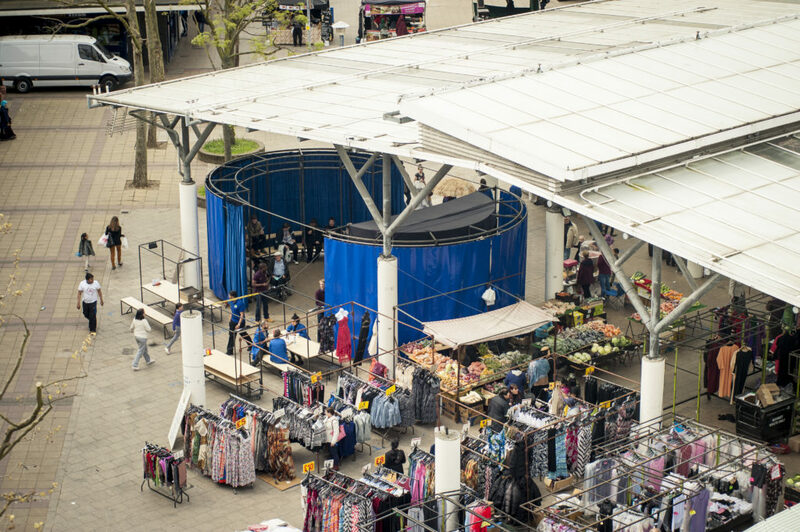 The new stalls emphasised the social character of the place and provided infrastructure for outdoor eating (even in cold winter days). With Guglielmo Rossi we developed an identity for the project, based on the handwriting of one of the market stall holders. 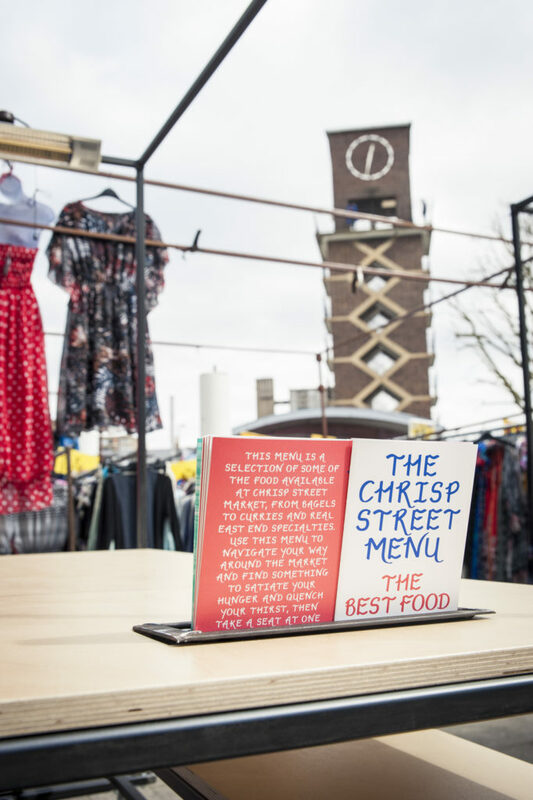 It was used to advertise the events with stencils on the market walls and columns, event leaflets, and a Chrisp Street Menu of the food available in the area. 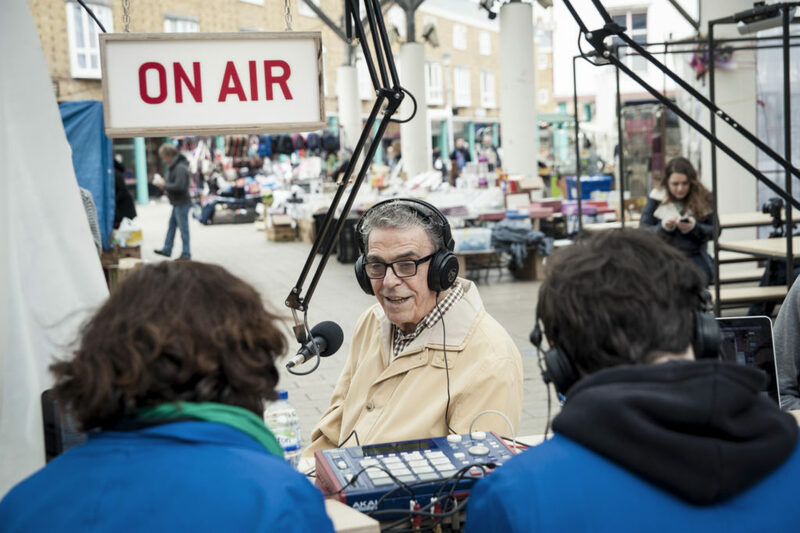 At a time of change for the area, Chrisp Street on Air provided an opportunity to celebrate and record the distinctive character of Chrisp Street Market. Chrisp Street On Air was supported by Tower Hamlets Council and the Mayor of London’s Portas Pilot Programme, which is nurturing town teams and helping increase the vibrancy and growth of high streets across London. Project Team: The Decorators in collaboration with Tom Keeley, Guglielmo Rossi, Mikel Burgui and Ashley McCormick. Website design by Guglielmo Rossi. Programming by Joe Davis. Mixing by James Latimer.